You don't need to spend a lot of money to get gorgeous skin. From eating antioxidant-boosting 'beauty foods' to using easily available ingredients like neem and aloe vera in your daily beauty regime – there are a lot of ways to get glowing skin. Glycerin happens to be another such readily available and inexpensive ingredient that can help you get great skin. Here's how. 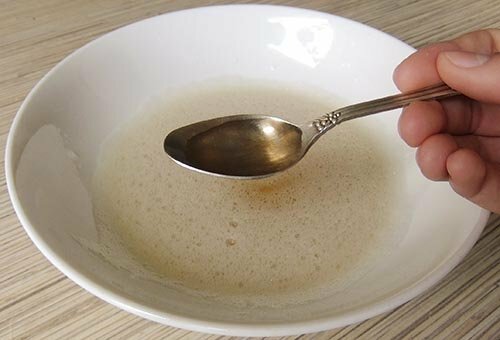 Make a glycerin mask to get rid of blemishes and hyperpigmentation. Mix lemon juice, rose water, and glycerin in equal parts, then massage it on your face for a few minutes. Instead of washing it off, leave it overnight. It can effectively help lighten dark spots, under eye circles, freckles, and correct uneven skin tones. You can use it even if you have sensitive or oily skin. Make sure you dilute the glycerin with water before using it on sensitive and oily skin. For best results, wash it off with lukewarm water once it dries. 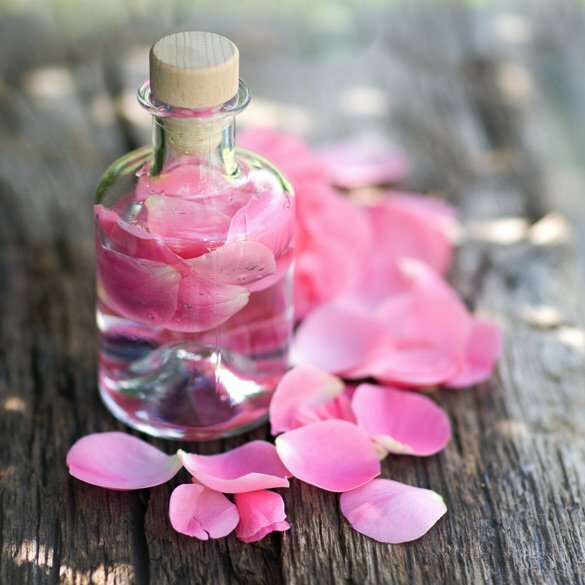 You can use rose water instead of normal water, which is great for soothing the skin. Soothe your irritated, dry skin with glycerin. Add a few drops of glycerin in full cream milk and apply it on your face. Wash it off with warm water. This concoction is particularly helpful if your naturally dry skin gets irritated during harsh colder seasons. It can help moisturise skin effectively. Glycerin is a humectant, which means it has the ability to retain moisture and keeps the skin hydrated for long. Use it along with a deep-moisturising and hydrating lotion. You can also mix it with Vitamin E oil and apply half an hour before your shower. Treat your cracked heels with it. If you are tired of cracked heels, and have tried every other remedy that has failed you, try using glycerin. Apply it with a few drops of rose water on your feet before going to bed. For best results, wear socks to bed to lock in the moisture overnight. Keep irritation and redness caused by excessive oil at bay. If you have oily skin, then dealing with excessive oil on your face is a real struggle. It can even lead to acne, irritation, and redness. Glycerin can help control excess oil and keep pimples and even blackheads at bay. Use a mixture made of Fuller's Earth or multani mitti, glycerin, and milk for keeping acne and blackheads away. It can be used as a cleanser and toner. 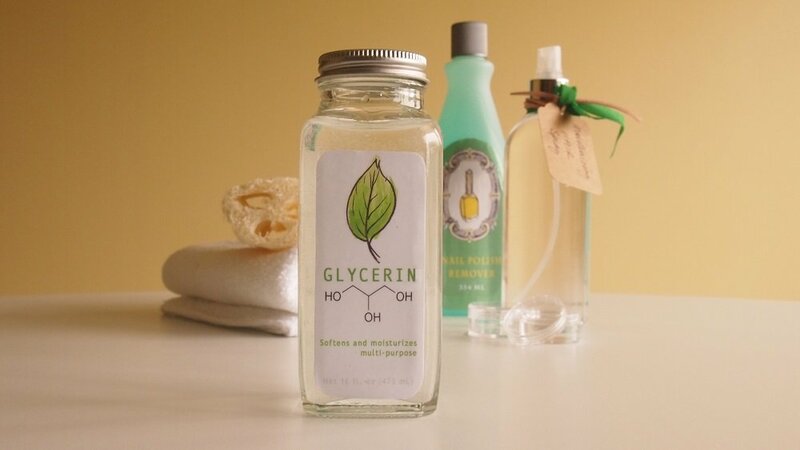 Glycerin is non-toxic in nature, can help reduce skin bacteria, and unclog pores. 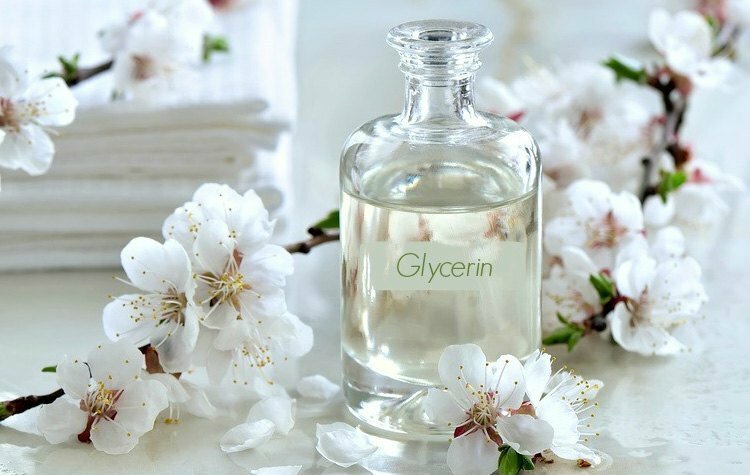 So, instead of spending money on buying two different products to do the job, use glycerin to cleanse as well as tone your skin. It can also help reduce wrinkles. Glycerin helps keep the skin hydrated and makes it smooth and supple. You can use glycerin in an egg white mask for better results. Mix egg whites (which can help remove impurities), honey, and glycerin and apply this mask on your face using upward circular motions. Leave it on for 20 minutes before washing it off with warm water. Apart from skin, glycerin can also help combat frizzy hair problems and soothe the scalp if it is irritated. So it doesn't matter if you have dry, oily, or combination skin, glycerin is a cure-all for every problem you could have.